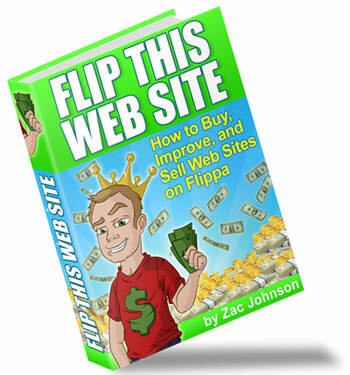 My friend and super affiliate, Zac Johnson from ZacJohnson.com has just released the 139-page eBook called “Flip This Website“, an authority guide to selling websites on Flippa. This guide covers in-depth, everything there is to know about building a website, promoting that website, then selling that site on Flippa.com to make money. Lucky for me, Zac was kind enough to provide me with a sneak-peak review copy before it was released to the public. Personally I have never sold a website for profit (only bought), but after reading this guide, I feel extremely confident that when the time comes that I want to sell one of my sites, that I will get the maximize return! This guide is perfect for people who are looking to flip or buy/sell websites for a living. It can also just be for anyone who has a single or a few websites that they are shopping for a buyer. On top of the 6 in-depth chapters that cover everything you need to know about buying/selling websites on Flippa, there are a number of goodies and bonuses, including 6 killer videos that walk you through the process outlined in the guide. If you are interested, you can always visit the sales page for the entire table of contents to see exactly what is included in this eBook. Grant it that I may be a little bias, since I know Zac…but going off of Zac’s track record, you can guarantee that this is a high-quality product. Zac also isn’t one of those fly by night marketers, he has made millions of dollars online and knows what he is talking about. Obviously this eBook is not going to be for everyone, however if you are interested in making money online through website flipping this is a MUST. Even if you are trying to just sell one site, you will easily make up the cost of this eBook just from what you will learn and apply when selling your website for double or triple what you thought you could get. 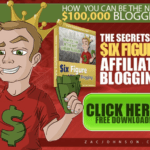 If you want to learn from a super affiliate who has bought and sold TONS of websites, make sure you check it out!